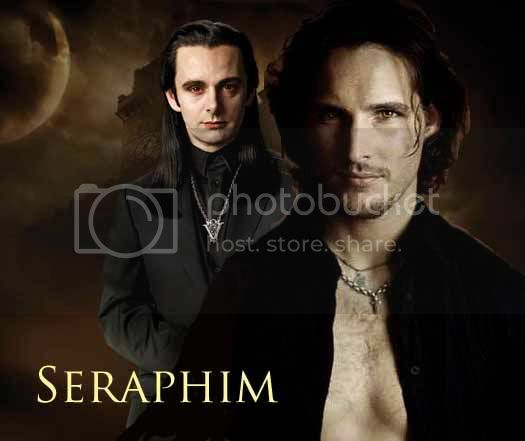 A bit of Carlisle/Esme fluff; somewhat more useful but spoilerific summary inside. Sad Beginnings and Happy Endings? Jacob’s heart is shattered. Running from his past; his problems; his fears; and his dreams he hopes to find a way to escape from the misery. Only to find himself in an even more difficult situation, where he must choose between his past and his future. 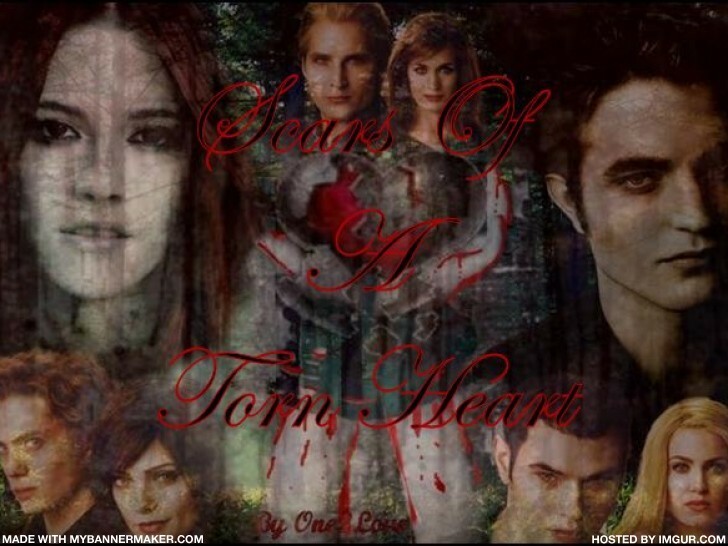 Bella/Edward and Jacob/OC BIG thanks to EdwardBiteMePlz who made this absolutely AWESOME banner!!!!! You rock!!! Thanks EdwardBiteMePlz!!!!! Her heartbeat drums incessantly in my skull. The scent of her blood is maddening. My whole body is tense, coiled like a snake, poised to strike. My throat is on fire. Experience the perspective of a newborn vampire. Bella, Alice, and Rosalie are Vampire sisters that go to Saint Mary's Private Catholic high school. What happens when their school gets three new Vampires? The happily "imprinted" couple, Sam & Emily. A story writen in a blog. a combination between Twilight and Bridget Jones's Diary/Pride and Prejudice! there's no Edward and Bella, the main character is Sam, a 25 year old brit. Don't worry, there's Edward Dark! a vampire version of Mark Darcy (which is like Edward Cullen). Already started writing the blog on Livejournal, if it's easier for you to read it there, click here . Jake when he first becomes a wolf. When he won't talk to Bella and he looks like Sam. This was made with no reference except the book. Please show some love and Review! She was in a place he could no longer reach by touch or words, preserved in the labyrinth of her mind like a small creature fossilized in amber. Edward/Bella. Sara meets Dan while searching for a friend who disappeared from Seattle the year before. They develop a relationship and face a challenge. Edward and Bella are getting married. They have never been happier. Sarah's lost love left two years ago. She has spent day after day, week after week trying to find him. And finally she has. On the day of his wedding. One-Shot. What sticky messes will Edward, Alice, Bella, and Emmett get themselves into when they've found themselves in the world of Naruto? Late at night when no one is watching, when no one can see, they share their deepest secrets with each other. Edward Cullen and Isabella Swan are total opposites, they aren't really even friends, but they trust one another for reasons that neither one can explain. He has told her things that no one else does or will ever know! She knows how he is, the things he does and why he does them...but she just wants him to see the beautiful soul he possesses. While she watches him spiral out of control she wants nothing more than to save him! But in order to save someone that person has to want to be saved..He is stubborn and can't see the truth about himself..he just wants the pain to end..can she make a difference before it's to late? Jacob finally finds someone to relieve the darkness of his pain. His saving light. But in order for her to save him, he must first save her life. And oh, yeah, one more thing. She just happens to be a vampire. Oneshot: Jacob didn't go get Charlie, in Breaking Dawn, and the Cullens had to hold a funeral for Bella. How did the people of Forks respond? Bella's friends and family gather around her to say goodbye. One night, when the wind howls and the sea is restless, Bella and Edward see each other again after twenty years. Despite their bond being gone, they will always remember. Just a little drabble on Victoria. Edward never actually left in New Moon. He just left Bella. He still goes to her school, still sees her, and it seems to cause her much more pain. These are small things that we thought about and did nothing with. They are small snippets of story or ideas that never made it to any final piece.This used to be called 'Snippets of what could have been?' but 'scrap that' seemed more appropriate. photos of Renesmee's brief but awesome childhood. At the beggining of the story, Major Jasper Whitlock meets a beautiful but strange girl in an inn one night. When he discovers the truth about her, he gets drawn into a dark world of drinking blood and hiding in shadows. But when something happens to make him question his way of life, will he be able to escape the close network he has become part of? Bella is willing to do all in her power to be with the vampire she loves more than life itself, but he isn't willing to let her change her entire being just for him. Edward makes clear that she can't have it all. Can they resolve this problem and fight off a new herd of monstrous beings after them? A different take on the events that take place after Bella's 18th birthday. All Canon Pairings! All characters belong to Stephanie Meyer! What if Bella woke up to her room in Pheonix? What if all of Forks was a dream? No more Edward, No more Cullens, No more Forks high. Want to find out? Read my story. A story of girl (Bella) searching for her love, Edward that no one seems to know. Is he just make-believe? A fairy tale once upon a time? Is he Fiction? find out. Edward left Bella almost a year ago. Alice sees Bella in a video that was clearly shot in the Cullen’s home in Forks. OH MY! What will Edward say when he sees her playing his piano, sparkling and who’s the mysterious man? Jacob Black wonders what happened to spring, and reflects on the future. A one shot told by the seasons, as they watch a rather bitter coming of age tale. The Cullen's have moved to Seattle, and Edward's living in Alaska. Eveything seems normal until someone comes back, and stirs everything up. 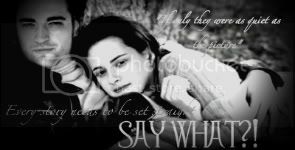 Bella finds out nobody buys her 'im over Edward' act, not ever charlie. whats the point of acting anymore. what's the point of living? this is Bella's suicide. or at least she tried, maybe she gets 'saved' by someone she thought was lost from her forever. can she and her true love get over their endless issues and get back together or will they fall apart. Life in Forks Washington is about to change forever. Two warriors who have lost their world to a great evil are being sent to the Cullen's to protect them and most importantly Bella Swan. Spike does Not stay dead! Crossover with Btvs. Post NFA, Spoilers for Eclipse and possibly Breaking Dawn. We all know and love Renesmee Cullen, bella and Edward's little girl. But what happenes when Bella gets pregnant again? (Carlisle found a way to change people back to humans for a little bit:D) The questions are swarming in the Cullens heads, and the pack. Will Bella be as lucky as the last time? "What exactly do you do while I'm sleeping?" She asks softly, running her tiny hands up and down my stone arms. "Oh, nothing..." I say, smiling to myself, knowing she would never figure it out on her own. My little secret. Isabella swan's life changed from three little words. Isabella you're adopted . Complete and utter shock comes when she finds she is a child born from two vampires. Who are her parents? Robbie has know James for year but when Logan comes everything chamges. She start to fingd things out she may not be able to handle.She starts dating Logan and doesn't tell James she is beacause she's afraid of what he will think. BUT WHO is really hodling a secret her or James when he starts dissipearing at times. WHO WILL ROBBIE END UP WITH LOGAN WHO SHE JUST MET OR JAMES WHO'VE KNOWN EACHOTHER FOREVER????? Secrets are kept, shared, and remembered in the small town of Forks. But looking into the minds of those Forks citizens, we realize that secrets aren't bad, but the one thing that controls the world as we know it. We are an experienced team of 16 white-hat SEO professional and we have been helping clients' websites rank (and stay ranked) in Google. We appreciate that only ranking high in search engines isn't enough. It's the return on investment (ROI) that matters. That's why we optimize websites with a holistic view and provide recommendations to clients keeping conversion in mind. What was happening in Edward's life on the day of Bella's birth? What might have happened... one-shot. Inside the most ancient and darkest of hearts, there is a secret longing for the light of innocence and purity. What resistance can there be when it is delivered by seraphim? An Aro/Carlisle story, inspired by the incredible tales of newssodark. Rosalie is a new born vampire and edward still isn't sure if carlisle did the right thing in changeing her.But what will happen when what carlisle wanted actually happen can they stay together? This is during New Moon, Edward is away from Bella and he ducks into a building to escape the rain. Based on the song Serious Mistake by the Plain White T's. Isabella Swan is 22 years old. She is moving to Forks, Washington because her mother has just died. She didn't want to be alone. She went to culinary college and is now looking for work. What happens when she meets one of her father's friend's sons? How will she react to seeing him. Remind you she hasnt been to forks since she was twelve. Please read and and review! edward get paid a visit by the demon Solomon and is offered a once in a life time opertunity to become human again. He goes off to face Solomon's spirits all seventy two of them. Edward left Bella again, and she is determined to be changed and get Edward back with her new seductive way. In 1432, Aro heard a prophecy that would change the immortal lives of the Cullens......forever.